Last week we started our alphabet wall with the letter S (we are doing them in Jolly Phonics order). 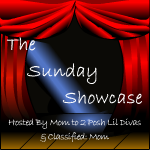 This week we did the letter A. Again I got the template from the awesome Kiboomu website. We didn’t do their recommended decoration of the letter this week because they recommend using ants. I am trying to avoid the same words that are used in the Jolly Phonics program and they us ants for A. We brainstormed other words that start with A and came up with Apple or Acorn. I decided to use apple because it uses the soft a sound and acorn uses the hard A sound. The same as last week, Eileen decorated the letter, while Kaitlyn decorated the word. 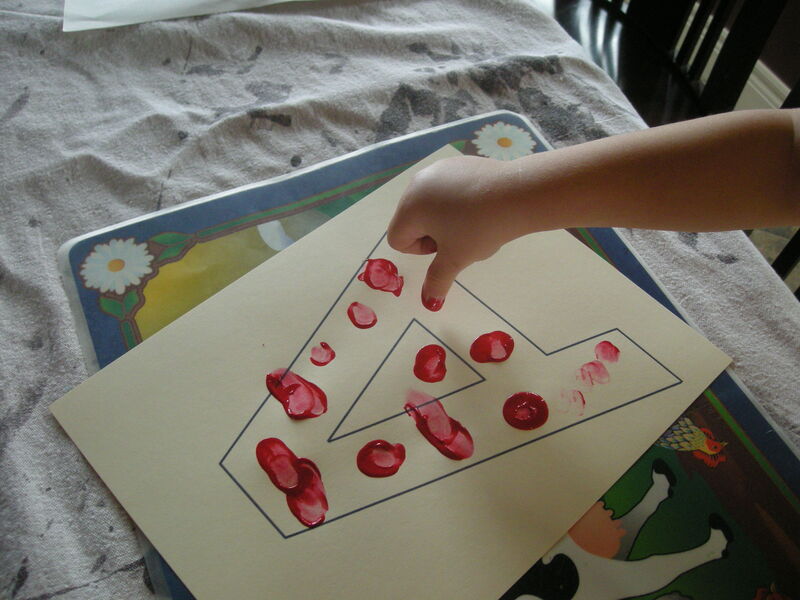 Eileen used her thumb to make red thumb prints all over the uppercase A and then added green stems. 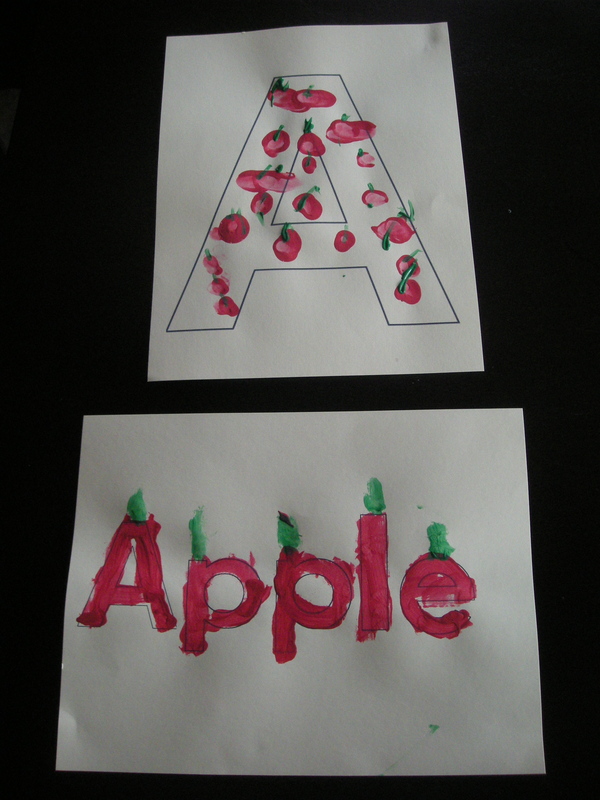 Kaitlyn painted the word Apple red and added green stems at the top of each letter. They turned out fine but I would make the outline of the letter brighter for the uppercase A next time. If anyone has any suggestions of how to decorate a captial A please add them in the comments.